There’s so much talent involved in the production of Mary Magdalene, you know it would only sit on the shelf for so long. Caught up in the dissolution of The Weinstein Company, it now hits theaters this week, a year or so after when it was figured to arrive. For some, this will be a must see curiosity. Unfortunately, for most it’ll just be a disappointment. Despite all of the talent that came together for the movie, they can’t grt it to engage with the audience. It remains stuck in neutral. Even after seeing it, you’ll almost certainly be left wondering what all the fuss once upon a time was about. 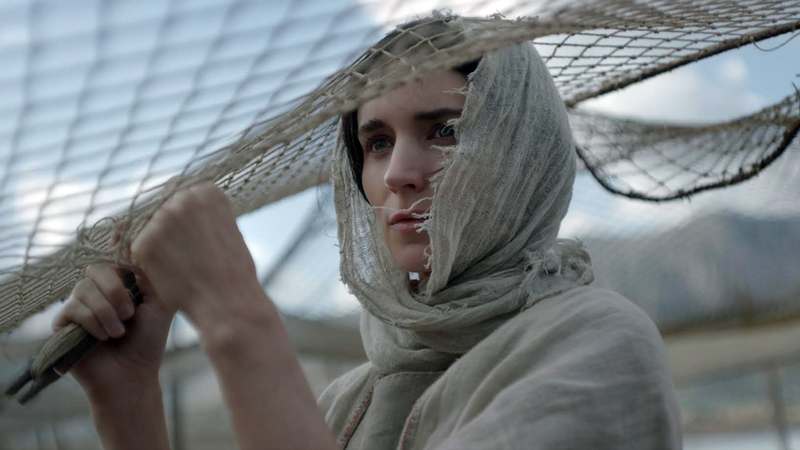 The film is a biblical drama, telling the story of, you guessed it, Mary Magdalene (Rooney Mara). A woman unsure of her place in the world, she’s only sure that she wants more than just to be a wife and mother. When she refuses to marry Ephraim (Tsahi Halevi), a family friend, her brother Daniel (Denis Ménochet) and father Elisha (Tchéky Karyo) subject her to an exorcism. In a moment of desperation, Mary’s brother seeks the assistance in the healer Jesus of Nazareth (Joaquin Phoenix). The man is becoming a bit of a respected cultural icon, making speeches throughout the land. They want Jesus to heal Mary, but instead his message compels her. Soon, she’s following him and joining his growing group of disciples as they take his beliefs on the road. The bible says where this is going, but you don’t need any knowledge of that to guess how this will end. Garth Davis directs a screenplay by Helen Edmundson and Philippa Goslett. 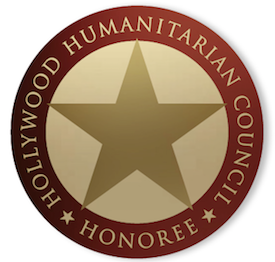 Supporting players consist of Chiwetel Ejiofor, Ariane Labed, Tahar Rahim, and more. The score comes from Hildur Guðnadóttir and the late Jóhann Jóhannsson, while Greig Fraser handles the cinematography. Without question, this looks great. Sadly, the visuals from the talented Greig Fraser are one of the only things worth praising. The script from Helen Edmundson and Philippa Goslett never engages you, Garth Davis’ direction is stuck in neutral, and the performances lack the necessary layers to overcome this. Rooney Mara and Joaquin Phoenix do what they can (more on them next), but it’s all in vain. Davis, Edmundson, and Goslett had one interesting concept, in setting up Jesus as essentially the leader of a radical cultural movement. They don’t do much with it, but for at least that brief moment, you’re fairly intrigued by the potential. Mara and Phoenix try to give Mary Magdalene life, but they end up just being wasted. As cinematic characters, their parts have potential, but it’s all squandered in scene after scene that goes nowhere. The former, despite being the title character, is never really able to get to the bottom of what makes Mary tick. As for the latter, he’s far more subdued in this part than you’d expect. Both are solid here, but undoubtedly wasted. A combination of poor support from Davis and company, along with perhaps being miscast, has left this as a definite disappointment. Something pairing them together should be far better than this. 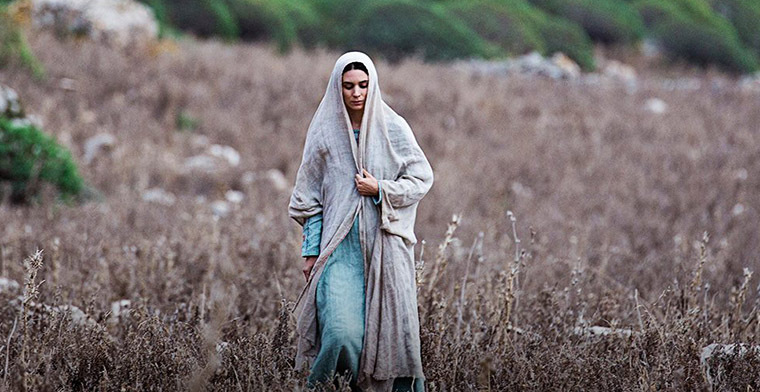 Mary Magdalene hits theaters on Friday!